These days most travelers want to be able to get online regularly while traveling to check email, get directions, check hotel and restaurant reviews, upload photos, update social media, and stay in touch with those back home. Travel routers can help with this. It is definitely easier to stay connected as wireless Internet is now widely available in most parts of the world but there are still a number of situations when it can be tricky (or expensive) to connect. As travel bloggers, it is often even more important to be able to get online on a regular basis while traveling and it can be very frustrating when you are in a hotel with weak Wi-Fi, you are being restricted from using multiple devices on one Internet connection, or you would like more security when using an unsecured public hotspot. A travel router is a compact little device which solves these common Internet issues and offers a number of features to the on-the-go traveler who wants to stay connected. 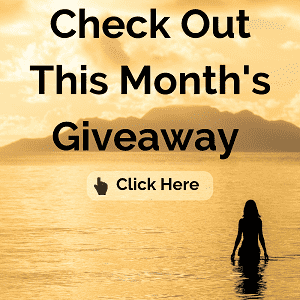 In this post we’re going to go through some of the best travel router options available on the market today so you can pick the right option for you. What is a Travel Router? Do you Need a Travel Router? 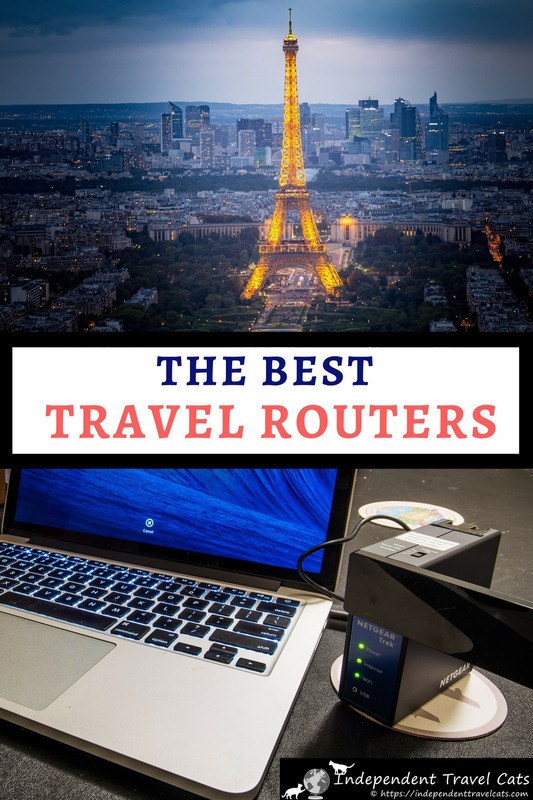 If you are new to travel routers, also known as portable wifi routers, this section will help you understand what they do and whether they might be a good fit for your travels or not. A travel router is a wireless range extender designed for people who are on the go and need to connect to the internet when they are away from home. It also performs the functions of a wireless access point. Different wireless travel routers have different features, but the main feature is that they increase the range of existing wireless Internet networks. So for example, if you are in a hotel with a weak wireless signal that you are having difficulty connecting to with your laptop or phone, the travel router will amplify the signal so you can connect more easily. A travel router can extend the range of wireless networks, meaning you can connect to a network somewhere that you might not have been able to connect to with your device because the signal is too weak. The powerful antenna of a travel router can pick up this weak signal and amplify it so your devices can connect to it. The travel router also creates a secure wireless network at a public hotspot to better protect your devices. Often when traveling the networks we connect to are unsecured and unencrypted, which means anyone could in theory grab hold of passwords or other data that we send to and from the internet. Travel routers feature a firewall which protects your personal devices from known DoS attacks and port scans from the Internet, giving you a more secure internet connection (although it is still not recommended that you share sensitive information over a public connection). A travel router allows you to connect multiple devices to a network, even with a single login. The travel router is seen by networks as a single device, so if you are only given one login, you can still use multiple devices. You just login once from the travel router via a web browser (or in some cases a provided smartphone app), and then all your devices can be connected to the network created by the travel router.. Some travel routers can also be used as a WiFi bridge. These have Ethernet ports so you can connect Ethernet-enabled devices wirelessly to an existing WiFi network. These can include Internet ready TVs, Blu-ray players, and gaming consoles. Other features of travel routers may include the ability to connect to a wired network and turn that into a wireless network, to provide USB charging power to devices such as phones. to work without power, and even to act as an SD Card reader or media hub. There are a number of travel routers on the market today, which range in price and features. All the below models would make for a good choice, and the model you choose will depend on your budget and required features. We currently use a Netgear Trek N300 (PR2000), however Netgear sadly discontinued this model in 2017. So the below are our current favorite recommendations (list last updated January 2019). The TP Link N300 line of wireless travel routers has been around for a while, and has long been our recommended choice for a travel router. It supports a fast 300MBps speed, can be powered by USB and has an ethernet port. It doesn’t offer on the go USB charging or anything else fancy, but for a simple plug and play solution that just works. This is a great pick for most people. If size if the most critical factor in your travel router choice, look no further than the TP-Link 150 wireless travel router. This offers similar features to the N300, but in a product that weighs just 2.1oz. The wireless speed is a little slower at 150Mbps, but that’s still going to be good enough for the majority of travel situations, including streaming video. If you’re after something a little more full featured from your travel router, which will allow you to perhaps replace some other devices you travel with, then the RAVPower Filehub Plus is a good choice. As well as offering a fast 300Mbps network, this device features a 6000mah battery to charge your devices, an SD Card reader and USB port, so you can transfer files from memory cards to your hard drives or computer, as well as DLNA compatible media serving capabilities. The latter means you can plug in a hard drive or memory card with your movies on, and stream them directly to your TV, laptop or mobile phone. Quite a lot of functionality for the price, and it’s under 7oz too! If you like the idea of the RAVPower Filehub Plus, but want something a little smaller, cheaper, and don’t mind losing a few features along the way, check out the RAVPower Filehub instead. This doesn’t have an SD Card reader or built-in battery, but it does still have a USB port so you can connect USB drives to it. It also features 300Mbps network speeds, media streaming capabilities and of course, the wireless travel router features you would expect like extending a hotel network strength. Not bad for a device weighing under 3oz! Coming in at under $20, this is definitely one of the best value travel routers out there. Sure, it’s not as fully featured as something like the RAVPower, and the brand isn’t as recognizable in networking as TP-Link. However, the reviews are generally positive and the price is hard to argue with for a travel router that supports 300Mbps and weighs under 2oz! It also has built in support for VPN credentials, meaning if you have a VPN account for more secure browsing like NordVPN, all your devices will connect through that when using this device. Our primary use for our Travel Router has been to extend existing WiFi connections. We have often encountered the situation when we are happy to learn that a wireless Internet connection exists in a hotel, bus, cafe, or airport but are then disappointed that the connection is too weak to connect to or is very slow. Our travel router can then be pulled out to help strengthen the signal so that we can get online using our phone, tablet, and/or laptops. Although not always possible, it is also great in those situations where you can extend a wifi range from a hotel lobby to your room or from an indoor space to a patio. The device also partially helps with the security issue of using public WiFi hotspots by providing a firewall and some protection from common Internet threats; however, you should still be cautious about providing sensitive personal information over a public connection. Travel Routers are also great in other traveling situations beyond just extending an existing wireless connection. There are situations where you might only be given a password to connect one device at a time on a wireless network or may have to pay for additional devices. Obviously since we are traveling as a couple with two cell phones, two laptops, and two WiFi enabled cameras between us, one Internet connection is not enough and we hate to pay for Internet! So by whipping out this device, it will allow you to connect multiple devices to a wireless network using a single login. You just login once from the travel router via a web browser or the provided smartphone app, and then all your devices can be connected to the travel routers network, where they should all work simultaneously. Also, if you are in a hotel or other location that only offers wired Internet access in your room, you can plug the Ethernet cable into the travel router and create a wireless connection that can be used for all of your WiFi enabled devices. Interestingly we have ended up using our travel router as much, if not more, at our apartment verses while traveling. 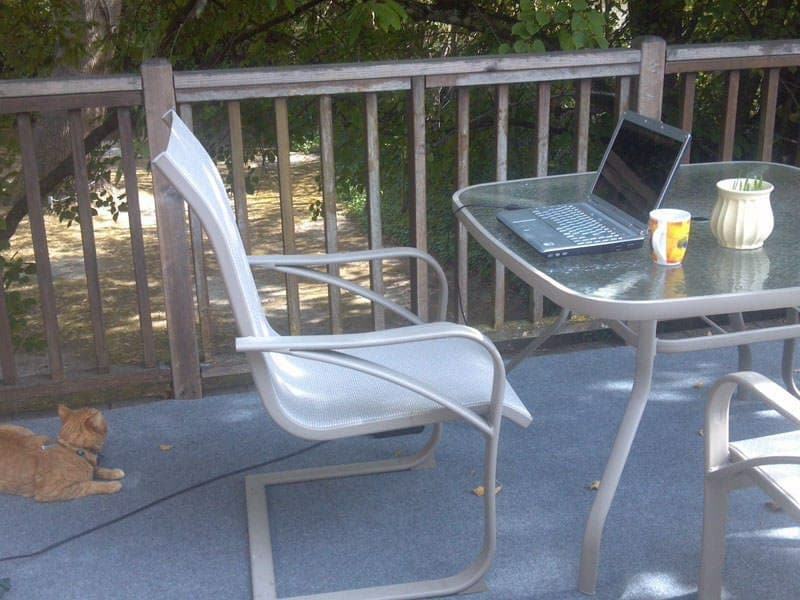 When we lived in California, we had a good wireless Internet connection in our apartment but it became weaker when trying to use a laptop or phone outside on the deck. We’ve set up the travel router to extend the range of our home wireless network to be able to blog more efficiently on the deck which was one of my favorite spots to blog. We have also used the USB ports on our router to charge cell phones and other devices and to plug in our USB hard drive for use as a network attached storage device to be shared on our home network. We also like that most of these travel routers are powered through a micro USB port, so you can actually power them from a laptop or USB power bank if you don’t have easy access to a power point. Travel routers are not a mobile hotspot, so they cannot create an Internet connection if one does not already exist. So if you are wanting to actually use the Internet in place where there is no or very poor Internet, you’ll probably want to consider something like a mobile hotspot rather than a router or range extender product. For those wondering how to get online or how to find an Internet connection while traveling, see our travel guide to getting online. Sometimes despite the power of a travel router’s antenna, the signal will still be too weak to connect. In a few situations we have spent too much time trying to get a connection to work when the signal is simply just too weak. Some routers can also take a few minutes to connect to a network which can leave you wondering if it is just taking awhile or if it isn’t working. Be sure to check before you buy to make sure the travel router is compatible with your devices! This should not be an issue for most newer devices but some may not work as well with older devices or those using older operating systems. 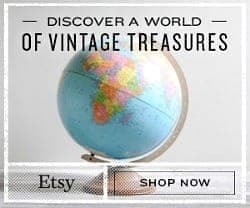 Overall, we have found travel routers to be a benefit to our travels – they are generally easy to use once configured, and are compact and easy to travel with. Given that many hotels only allow you to join a network using one device at a time (or charge extra for multiple devices), having a travel router makes it possible for us to use all our WiFi enabled devices at once without extra fees. We currently our both at home to extend the range of our own home Internet and while traveling to extend wireless Internet connections, to login multiple devices using one password, and to add a little security while using public WiFi hotspots. What issues do you have related to using the Internet while traveling? Have you used or would you consider using a travel router? 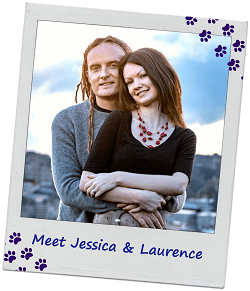 As always, we’d love to hear any advice, tips, or questions you may have! I just returned my new TP-Link N300 Nano after a couple of very frustrating days trying to connect it to my iPhone 6. Their helpdesk agent was friendly but couldn’t find a solution. I found a resolution in their community forum and flashed new firmware onto the device to solve the issue. Sadly, the router would lock up after a few minutes of use. I let it hang twice before declaring it useless and boxed it back up to send to Amazon. I wish I could find a device that does everything the RAVPower FileHub does, along with VPN. I need a router that does wired, wireless bridge, USB port for external HDD, Video streaming, and hopefully VPN. Any suggestions? My company has production plants all over the world. As such, there has been and will continue to be the opportunity for me to spend extended time abroad. This past year alone, I spent four weeks in Italy which is the reason I’m now searching for some sort of wifi booster. The hotels in Italy had wifi that would operate a laptop, iPhone, et cetera, but the signal was not strong/reliable enough to use my Chromecast. This meant I spent a lot of evenings looking at my iPhone 7 to watch Netflix. Not optimal! What I need to know is will a product like this allow me to stream Netflix, Hulu, Youtube, whatever, to my Chromecast in such an instance? There is a very good chance that I might be spending weeks-on-end abroad again very soon. I would like to be able to address this issue before I leave. Any thoughts on this? So this is not a question we can 100% answer. A travel router can boost signal and provide more secure Internet browsing, but it depends ultimately on the speed of the hotel’s connection. First, the Internet speed in general in the location you are visiting will need to be fast enough to support streaming. It sounds like this has generally been the case in hotels you’ve stayed in, as you were able to stream to your iPhone. In that case, if your iPhone is able to stream across the WiFi, then a travel router should strengthen the signal sufficiently for the Chromecast to also work. However, we can’t guarantee it will work in every instance, so this might not be a guaranteed fix. If you are able to download any films or TV shows we’d recommend doing this. I know Netflix lets you download some shows to supported devices. You might then be able to stream these more easily. Alternatively, with something like the RAVPower router we mention, that acts as a streaming hub that your Chromecast should be able to stream from, if you have a hard drive or memory card with some shows on. We think a travel router should help, but we can’t guarantee it in every situation! Thanks for sharing this is such a very nice post and review of available travel routers. thanks for spending time on it. i found it very useful. great article, very helpful as a business traveler! This is a very good article and comparison of different travel routers, as so far I’ve read several articles. Thank you! 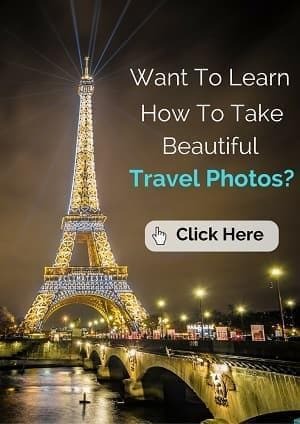 This was a great informative post you have shared on this page about the internet during travelling and using travel routers. If you want to use the internet while travelling then you must buy a wireless mobile router because its signal range are large with the secure password nd also send a message to the user if someone try to hack a password, otherwise you feel trouble during travelling! Many wireless routers available in the market which is helpful during the travel like np15 and so many. We always want a good speed router during our travels, regarding best router I found this post really helpful. Netgear Trek is a small router for those travel a lot or whose work is to travel. This device is easy to handle and it does not need a lot of space. I really like it! TP-Link Nano travel routers N150 and N300 are so aesthetically pleasing. I have N150 and don’t have anything bad to say about it, except the price could be lower. Btw, I use Nordvpn with it, and I’d say it’s a perfect match. Hi. I’m looking into purchasing the TP-Link N300 Nano Travel Router to use at a lakeside resort. The lodge at the resort has free wi-fi but the nearby cottages do not. They last time we were there, we were able to pick up in our cottage a weak signal from the lodge. Would the TP-Link N300 Nano server to strengthen that signal. We use Mac laptops, if that matters. Obviously, we don’t know much about travel routers. Any information you can provide will be very helpful. THANKS! What a helpful technical post on travel routers! I think Wireless Router is the best one to achieve uninterrupted WiFi while blogging. I had some issues with my router which I was unable to fix on my own. Then, I got Netgear Support which was truly helpful in fixing all my router issues. It’s nice to have WiFI while traveling and I appreciate the design and functional features of the device. The Netgear Trek’s initial function, increasing the range of existing wireless networks, sounds great. It’s nice that the included antenna can amplify the weak signal. Many people would find this product useful. Thanks for the response. I”m back at home now but will try this at the next hotel. Great review. If this pans out, this truly is something that has been needed for quite a while and it will become my “go-to” solution when traveling. I was led to understand the netgear N300 would allow you to use the hotel “captive portal” wifi with multiple devices. It doesn’t look like that is the case as your commenter above states. I see no option in the http://www.routerlogin.net netgear page for this to happen. It requires you to put in an ssid for the hotel network and a password. The problem is, with “captive portal” pages, there is no “password”. They ask for your room number and you to accept the user agreement. What is needed is to be able to sign in to the netgear n300 and then open a browser and try to get on the internet and then the hotel page pops up and you enter your room number and any other required info and you are on the web. Also, I think you may need the ability to “clone” the mac address of your laptop so your mac address isn’t always telling the hotel that you are probably using a “router” type device to get around their “one or two device” rules. If the mac address says “I’m a netgear router”, it would be easy for the hotel to not allow such mac addresses. Hi Harry, In our experience the N300 router has allowed us to do this. You can enter the hotel SSID without a password, and then the router will forward your browser to the hotel page to log in, after which point you can browse with multiple devices. We’ve definitely used it in this situation and not had any problems at several hotels. For the MAC address spoofing, we’ve never encountered a hotel set up intelligent enough to do this, and we suspect we never will – the effort to do so isn’t really worth the rewards we suspect. NetGear has been horrible in trying to answer my question. I was told that I can connect in places like Starbucks that require me to click on ACCEPT their terms or a location like a hotel that might require me to enter other information on a log in screen. I have not been able to make that happen. I select the network (such as Starbucks) and the system spins for a couple minutes and then says it can’t connect. It doesn’t take me to the needed screen to accept terms. Is the function I want available and, if so, how is it supposed to work. No trouble logging on to NetGear at home and retransmitting my home network. I was at a hospital with a public network. I was able to log on to their network (after accepting their terms on a pop up page) on both my computer and my iphone. However, when I selected the hospital network in the NetGear menu it tried to connect a couple of times but said they could not connect. It never gave me the sign on screen from the hospital. 1) Connect my laptop to the NetGear network created by my device. 2) Go through the netgear menu and select the desired network from the available list. 4) Any signon screen from the network should automatically come up?? Good news. I finally got it to work. I’m very happy as now that we are retired this is going to be extremely useful in all the timeshares we stay in. I use it to bring wifi to my laptop in various parts of the house from my desk, where it sits cabled to a broadband modem that itself is cabled to the internet. The big problem is that very often it shows up as not connected to the internet, although I can usually get it to function OK after turning various bits of kit off and then on again. Has anyone else had this hassle?. 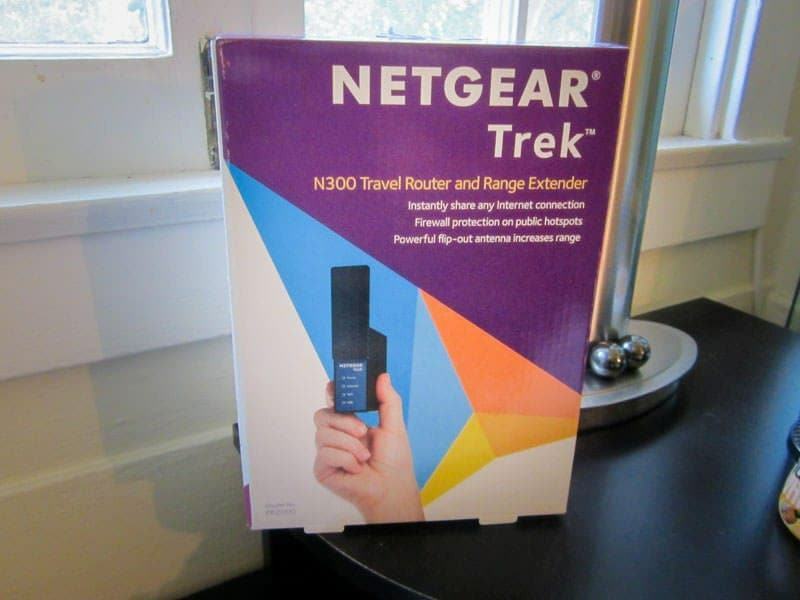 I am also using NETGEAR TREK since December 14. It helps me to connect multiple devices and let me do my work on the fourth flour. Its an excellent device! Thanks for sharing your thoughts on the Netgear Trek. I am glad that you have found it helpful! I’ve had spotty results with the Netgear Trek. The Internet connection is flaky and it resets itself a few times each day, even when it seems to pick up a strong signal from a hotel or RV park. Did you run into that problem, too? Great review! I, too, am in the market for a travel router. Thus, I have a question: Can this be powered via a USB-powered port on my laptop or by A/C only? Hi Todd, thanks! Yes, you can power this via a plugged in USB cable or via the AC cord. If you use the Netgear Trek, please feel free to share your experience! Interesting. I’ve thought of maybe getting one of these for my own home! There are corners that just have such weak connections. It does seem a bit bulky though to be carrying it when traveling. How heavy is it? Net Weight: 0.355 lb (161 g). So it is fairly compact and not that heavy but if you are like me, every little bit can matter when trying to squeeze more things into one’s luggage so we generally just travel with it when we know we’ll be experiencing bad wi-fi. Hope that helps and feel free to ask more questions if you are deciding to buy. Thanks for the review. I’ll definitely look into it. It really is frustrating if the signal is slow. . I’ll be willing to carry extra weight if it would boost connection,. Yes, just let me know if you have any questions about the Netgear trek Marisol! Gone are the days of combing an area for a dodgy internet cafe in order to e-mail friends and family about travels. Now you can use gadgets like this and blog away… Big innovations in just even a decade! Isn’t it amazing how fast Internet availability and speeds have changed in just the past 5-7 years! My greatest frustration when traveling is places that advertise wifi when it’s too slow or unreliable to be usable – I’m fine when they just don’t have it, but I hate spending so much time trying to make it work. I think I could use one of these. Hi Jess, yes I agree. Better to not advertise Internet than to have Internet that is impossible to use:) This can help when there are weak signals. Great review…as we all know living without good Internet is a killer! This sounds like a very useful device for people who need the internet when they travel. Indeed, we find it both useful for home and for traveling! Interesting, We use netgear at home and love it. Gordon will look into this. Great, and just let me know if you or Gordon have any questions! I love the idea of SECURE access to public hotspots when travelling. My only concern is it’s size. It seems so big! That sounds great and I wish I could use my cell phone as a hotspot, but it is quite expensive. Mobile hotspots are definitely very cool. The great thing about the Trek is that it is a very low cost option ($35 one time cost) for locations that have WiFi (or Ethernet) and you’d just like to make a stronger, safer, and more reliable connection. Hi Anda, yes the Netgear Trek is a very neat device. It is pretty compact, but you do need to have the device with you to connect and increase the wifi range so it is going to take up some precious luggage space unfortunately. i was very interested in your take on this product. However I use an android tab when i travel and there was no mention made of that possibility in the specs. I research further and found that is does work with android and ios operating systems too. I am seriously looking at purchase. Thanks for bringing this device to our attention! It sounds like you can use either an app or a browser on a laptop to configure the Trek in case it needs a password to connect to the hotel’s wifi, am I understanding that correctly? Because if that is the case, then $35 for a way to boost the WiFi signal is a bargain. So many hotels advertise free WiFi but deliver very slow connections.